Do you know who is potentially your biggest enemy in the stock market? It’s you. More specifically your own behaviour. It’s a fact that we are often our worst enemy when it comes to investing our hard-earned money. There is an old adage about the game of poker: If you sit down at the table and can’t figure out who the sucker is, get up and leave because it’s you. Talking about stock markets, the pundits will tell you that to learn to invest, you need to read the theory books. You need to understand complex accounting. You need to know the jargons, the P/E, the EV/EBDITA, the SOTP. What these pundits however fail to tell you is that before you get to all that investing theory, you need to work on the practical. You need to study ‘yourself’…your own behaviour. You see, general finance proclaims that investors are rational, and free of cognitive errors. However, much of behavioural finance says that investors are irrational, and overwhelmed by a host of cognitive errors. The brain that sits on the top of our head isn’t a flawless machine. Yes, it is powerful. But it has its weaknesses. In everyday terms, we call such weaknesses as ‘biases’. The good part is that while we cannot exchange our brains with other people nor can we upgrade it at a hardware shop, we can minimize mistakes that our biases cause by just taking notice of them. It’s just like getting into a boat. Before getting in, you would want to know about any holes in it before you start paddling. Right? Biases are such holes in our brain’s reasoning abilities. And these biases can damage our decision making. Success in investing doesn’t correlate with IQ once you’re above the level of 25. Once you have ordinary intelligence, what you need is the temperament to control the urges that get other people into trouble in investing. Answer this question – A bat and a ball together cost Rs 110. The bat costs Rs 100 more than the ball. How much does the ball cost? Try to solve this problem in your head. Did you answer Rs 10? If yes, your answer is incorrect. The correct answer is Rs 5. Reflect on the question again, think slowly, and you will get the answer. Now, do not worry if you answered it incorrectly in the first instance. You are not alone. The reason why you answered it incorrectly is because we humans tend to jump to conclusions using the reflexive parts of our brain. You see, our thinking is made up of two parts: (1). Reflexive, and (2). Reflective. The “reflexive” brain is automatic, fast and effortless. Most of us take investing decisions using our reflexive brain. This is the reason why most of us are not successful in investing. To become a good investor, understanding the role of psychology in financial markets is terribly important and, in my view, the single most important source to learn it from is by reading and re-reading the transcripts of various versions of Charlie Munger’s talk “The Psychology of Human Misjudgment”. 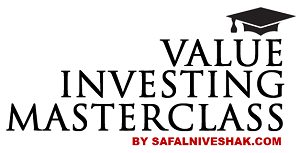 Every student of value investing must read these transcripts. Here are the most common biases that we carry with us, and which can really have a negative impact on our decision making capabilities, including the way we invest in stocks. Answer this simple question – “Which is the world’s only official Hindu country?” India? Sure? Confident? Over-confident? Sorry, but you are wrong! It’s Nepal. It can easily be claimed that no problem in human judgement and decision-making is more prevalent and more potentially dangerous than overconfidence. Overconfidence is possibly the most rampant emotion in the stock market. We are generally overconfident in our abilities. In addition, we tend to be overconfident in our predictions. The worst pitfall of overconfidence is that it gives us an illusion of control. When we have no control over some event, we frequently act as if we have some sort of control. As investors, we think that we can direct the movements of the stocks we hold. This is just because we are overconfident that we are always correct in our decision making. The result of this is mostly desperation, loss, and fear of future outcomes. How to throw out overconfidence from investing? While it is difficult to negate your own opinions while investing in stocks (“How can I be wrong?”), it pays to be a realist instead of being overconfident. The next time you’re about to buy a stock because you’re sure (or overconfident) it is going to be the next multi-bagger, take the time to be your own devil’s advocate. Leonardo Da Vinci said, “It is easier to resist at the beginning than at the end.” That captures the essence of confirmation bias. Confirmation bias appears when you see what you want to see. It’s a bias that makes you notice and look for information that confirms your existing beliefs, whilst ignoring anything that contradicts those beliefs. Once we’ve made a commitment – a promise, a choice, taken a stand, invested time, money or effort – we want to remain consistent. We want to feel that we’ve made the right decision. And the more we have invested in our behavior the harder it is to change. Investors often face this bias in two ways. One, it is very difficult and time consuming to change the stance on a particular stock in the light of new information. Two, it creates mental difficulties in capital allocation in a portfolio, especially if the new stock is going to replace an old stock. So how can you avoid the traps and exploit this bias for your benefit? You should be able to change views and inculcate new information objectively. Don’t publicly commit to ideas if you feel the pressure or embarrassment to change your views later on. Learn to walk away from bad investment decisions you made in the past. We all make financial mistakes. But when you realize you’ve done something wrong, try not to think about the money (and time and emotion) you’ve already spent. Instead, decide what to do based on the present and the future. More people are killed every year from attacks by donkeys and by drowning in swimming pools than those who die in car accidents or plane crashes! But just after a plane crash, we give more prominence to those killers than anything else. So what is the reason for that? The answer lies in ‘availability bias’, which is a phenomenon in which people predict the frequency of an event based on how easily an example can be brought to mind. Availability bias is created largely due to widespread and extensive media coverage of unusual events, such as swine flu or airline accidents, and less coverage of more routine, less sensational events, such as common flu or car accidents. Another reason is that people love stories. They captivate you. But what we forget is the concept of base rate, which is a technical term of describing odds in terms of prior probabilities. What is the base rate of success in IPO investing? It’s bad. Most IPOs lose investors money in the long run. Yet, when times are good and companies coming out with IPOs tell vivid stories about their bright future, people love them. Base rates are not easily “available” to you because no one talks about them, but you must be careful! How to win over availability bias? When you are surrounded by a frenzy relating to a particular stock, and especially the one that you already hold in your portfolio or are planning to buy, there are a few initial things you can do to get over the anxiety. Turn off your business channel. Stop talking to your investor friends and brokers. Be wary of following the latest market fad simply because of the availability of information. If you have read it in the newspaper, you may well be amongst the last in the market to know! You may think it’s fine to eat a burger that is 90% fat-free. But when you turn it around and think of it as a burger that’s 10% fat, you may think twice about eating it. That’s what ‘framing’ does to you – how you say and hear things makes a good impact on how you respond or act. Framing is an outcome of our aversion to losses. Evolution has programmed our brain to seek loss minimization instead of gain maximizing. As a result our brains, subconsciously, are always choosing the path of least pain. The problem of framing surfaces in investor behaviour in numerous ways. One of the common mistakes made by early investors in stock market is to sell their winning stocks and hold on to their losers. We keep a mental account for each stock that is in our portfolio and we want to close every account with a gain. We keep an internal score for each stock. Instead of looking at the overall portfolio performance we look to gain from every stock. So how do you break the frame? Consider how a statement, problem, consequence, or question is presented. How is it worded? What is its context? Are we considering certain features and ignoring others? The second strategy is to invert the problem statement. That’s called principle of inversion. By doing so, some of the things which usually remain hidden from your view, because of your intuitive brain, resurface and you get a fresh view. When in doubt, follow! This is what the herding bias tells us. We are programmed to feel that the consensus view must be the correct one. Social proof works to both our advantage and disadvantage. When someone shouts “Bomb!” at a packed theatre, it pays to run with others for safety without being analytical. Social proof also helps us find books we’ll like (Amazon reviews), restaurants to eat at (Zomato), and places to travel (TripAdvisor). But this mistaken belief that ‘not everyone can be wrong’ has led to many a disastrous decisions too. All stock market bubbles – like the one you saw in the Harshad Mehta days, or Ketan Parikh days, the dotcom boom, and the real estate boom – are caused by social proof as everyone wants to act and invest like everyone else. How to get over the social proof tendency? Disregard what others are doing and think for yourself. Ask: Does this make sense? Have the courage of your knowledge and experience. If you have formed a conclusion from the facts and if you know your judgment is sound, act on it – even though others may hesitate or differ. You are neither right nor wrong because the crowd disagrees with you. You are right because your data and reasoning are right. Simply noticing the holes in a boat won’t save you from drowning. A boat will fill with water whether you are aware of a hole or not. But by being aware of the holes you can devise methods to patch them up. In the same way, if you know how your biases can hurt you, you will take precautionary action to safeguard yourself from them. If we better understand how we feel, how we think and what kind of personality we have, we get more insight into the forces that affect our investing behaviour. And that might make us smarter investors – or at least invest in ways that don’t give us heartache. So just be aware of yourself!